Time for a bit of a gloat in the form of a travel round-up! I’ve recently returned from 2 weeks in Vietnam with my husband and I can honestly say it’s one of the most wonderful places I’ve visited to date (and I’ve been to quite a few). I’d recommend it to anyone! In terms of my destination preference, I have to state that I can’t cope with a relaxing beach holiday – the more chaos the better. I like busy, crazy vibrant places. And if I go somewhere I want to really experience a destination, not just transport my personal creature comforts and preferences to hotter lands. I want to eat where the locals eat, drink what the locals drink, and visit the places they visit. 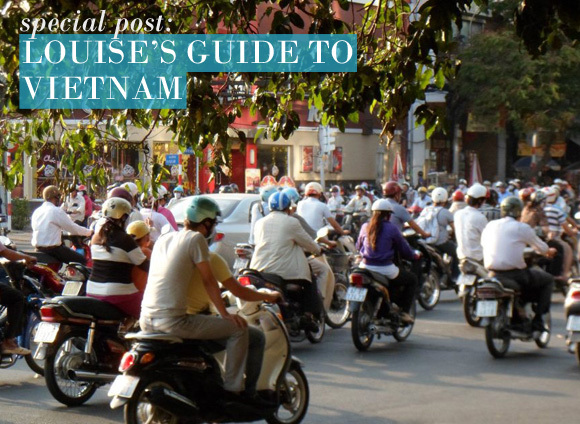 Vietnam certainly didn’t disappoint for me – but if you like a lazy holiday it may not be your cup of tea. 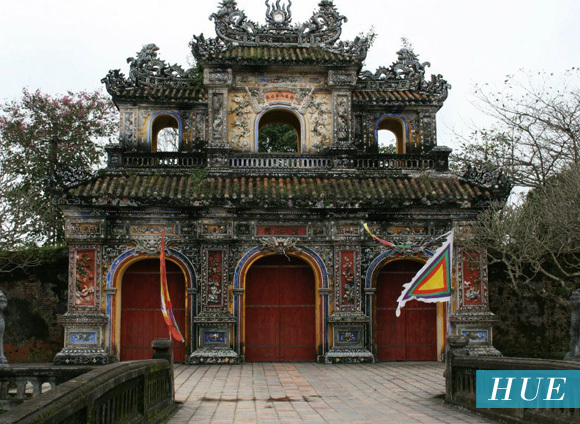 Hanoi – I visited during Tet, which is the lunar New Year. It is very much like Christmas, so the city was virtually empty as residents had returned back to the countryside to spend time with their families. Many shops, restaurants and sights were shut, and there was hardly any traffic. But the pay-off for this lack of guidebook sight-seeing was the chance to celebrate New Year with the locals. 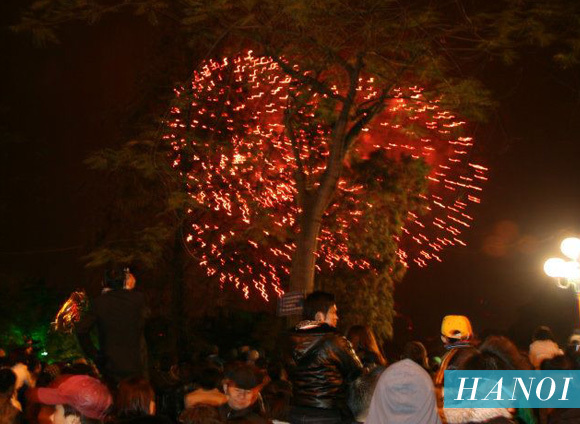 Fireworks, street performances and an amazing atmosphere made this an unforgettable night. As for the city – it’s lovely. It’s clean, there’s lots of shops, loads of restaurants and cafes, everything you’d expect from a European capital (apart from the additional temples and an abundance of incense). 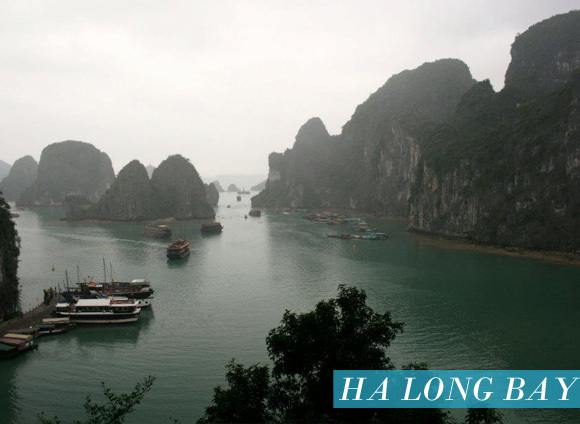 Ha Long bay – Stunning. Overnight stay on a ‘junk’ boat sailing around the bay – which is a UNESCO World Heritage site due to the amazing rock formations, caves, lagoons, islands etc. A must-see place. Hue – Has an amazing old town with an ancient ‘Citadel’ (again a UNESCO World Heritage site), and some ridiculously elaborate mausoleums. 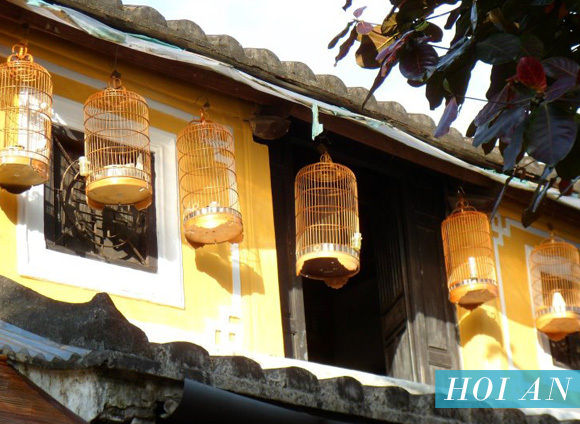 Hoi An – One of my favourite places ever. A small vibrant UNESCO World Heritage town packed full of old gift shops, tailors, restaurants and bars. Some could say too touristy – but I loved it. There was a real buzz about the place, it felt like everyone there was well travelled, cool and laidback. We also undertook a half day cookery class with Red bridge cookery school – fabulous! 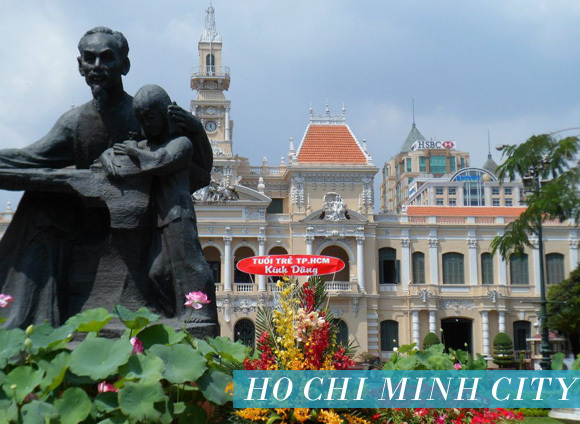 Ho Chi Minh City: Modern cosmopolitan city, full of designer shops, pricey restaurants and lots of interesting sights. The most fascinating was the War Remnants Museum – a harrowing reminder of the atrocities of the Vietnam War. Some of the exhibitions left me absolutely speechless – but none the less it is a must-see. Mekong Delta: Not far from Ho Chi Minh City is the rich agricultural area of the Mekong Delta. A maze of rivers and islands that create the perfect growing environment for rice, fruit and plenty of coconuts. We spent a day here, half of which was spent on bicycles peddling amongst the rice-fields, stopping for some fresh fruit and generally just absorbing the landscape. The most relaxing and awe-inspiring part of the whole trip! 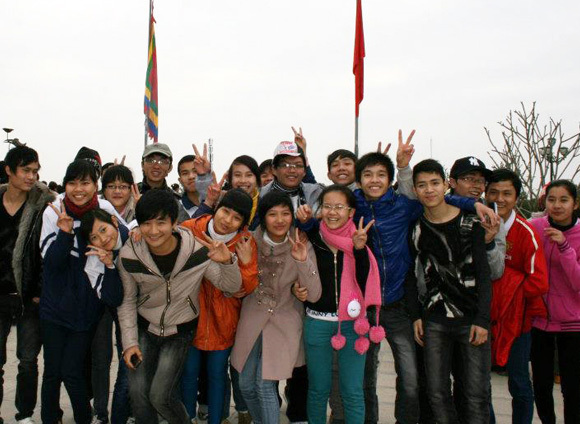 One of my highlights - meeting local children at a monument. They all wanted a photo taken with us (not sure why) so I took one back of them! In summary: The women are amazingly beautiful, their clothes are tiny, oranges aren’t orange, food is delicious, toilets are clean (and have flushes), traffic is mental, sights are remarkable, currency is inconceivable (and plastic), high-heels are apparently fine for trekking and their history is harrowing. It really is an amazing place to visit, and should be on any travel-lovers list. I can’t bang-on about it enough! I booked my tour using an Asian tour-operator called Exotissimo. As they are not UK based, they are not ABTA registered etc, but they are very trustworthy and everything went perfectly for us. We had a tailor-made tour with private transfers/tours and our own driver(s) and tour guide(s). Although it makes it a little more pricey it made all the difference – as we could ask whatever questions we wanted, and were constantly being told interesting facts and having things pointed out to us. So much better than a group tour. 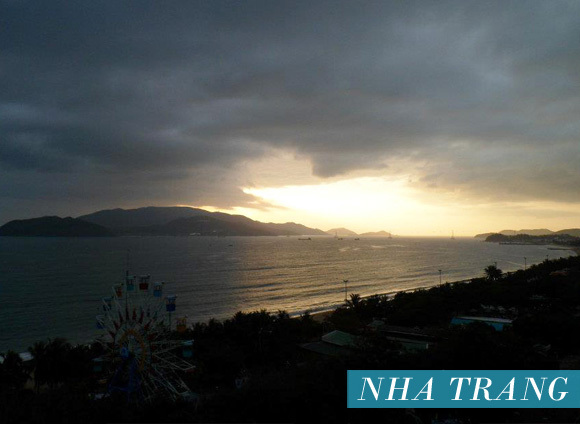 We spent 2 nights in Hanoi, 1 night in Halong Bay, 2 nights in Hue, 2 nights in Hoi An, 3 nights in Nha Trang and 3 nights in Ho Chi Minh. 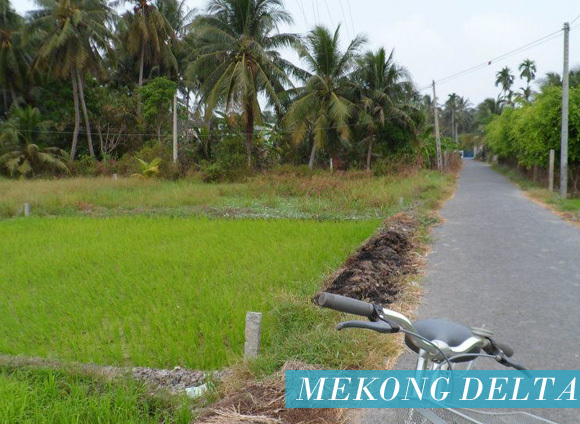 We also had a full-day trip to the Mekong Delta, and a half day cookery course pre-booked. As part of the pre-booked tour we also stopped at a number of temples and museums between destinations. No tours were taken of the cities – as we prefer to explore by ourselves. Flights were with Thai Airways via Bangkok (booked independently). PS – all the photos were taken by me. This entry was posted on Wednesday, February 15th, 2012 at 8:00 am and is filed under Lifestyle, Special Post. You can follow any responses to this entry through the RSS 2.0 feed. You can skip to the end and leave a response. Pinging is currently not allowed.